Brighton and Hove City Council has decided to set up a new Cultural Trust to run the Brighton Pavilion and Museums. The Council will continue to own the Pavilion and Museums but is setting up the Trust to manage it. The main reason is to create new funding avenues: a trust will be able to raise money in ways the Council cannot. Work on setting up the Trust is starting now with the appointment of a temporary board which will include councillors. A transition year to the permanent new Trust will begin in April next year. In April 2019 the transition will be complete and a new board will take over. All existing staff will be transferred in on their current terms and conditions. Today we take for granted the fact that the Pavilion has been so painstakingly restored and is filled with so many wonderful artefacts. The Society was heavily involved with the Pavilion’s gradual renaissance during the years after the Second World War. Indeed, had it not been for the crucial interventions of the Society’s founding fathers, the Pavilion would not have survived in its present form. to halt plans to replace swathes of Brunswick Town and Adelaide Crescent with modern blocks of flats. to campaign for restoration of the Royal Pavilion, which had been stripped bare by the Royal Family when they sold it in 1850, had suffered from a century of neglect and botched restoration, and had been variously ear-marked to be converted to a casino or to be replaced by a new Town Hall. A first public meeting, held in the Banqueting Room of the Royal Pavilion on 11 December 1945, was attended by 200 people. Soon after this, a sub-group of the Society, led by Lady Birley and Lady Brabourne, organised a Regency Festival during the summer of 1946. 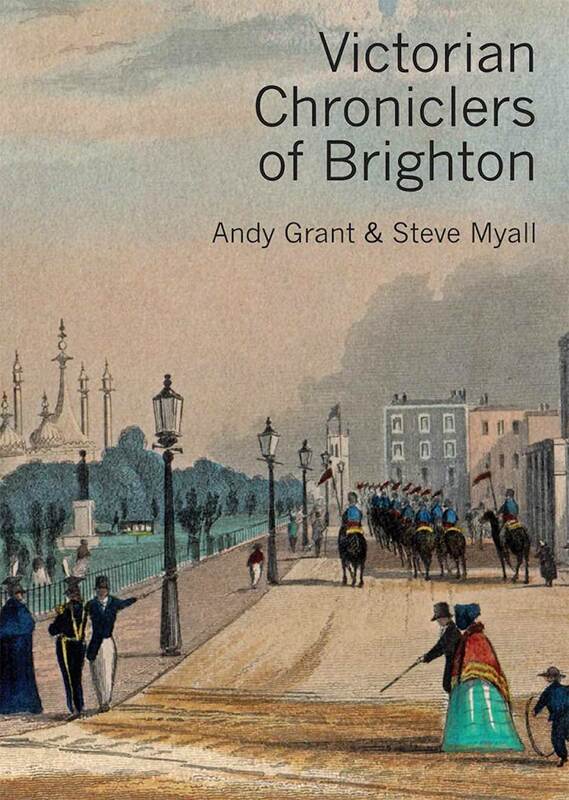 This included a subscription dinner, a Regency cricket match and three public lectures. 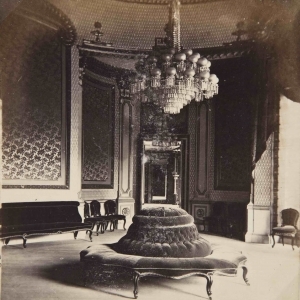 It was centred on a Regency Exhibition in the Royal Pavilion. This focused on refurnishing key rooms of the Pavilion, notably the Banqueting Room and the North and South Drawing Rooms. Various people, including members of the Royal Family, were persuaded to lend a total of 356 artifacts. It was a great success, attracting thousands of visitors, many of them from London. 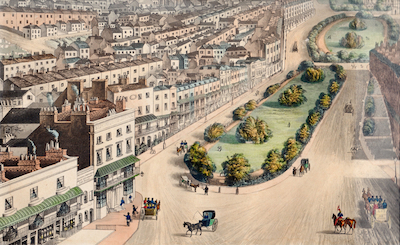 The Regency Festival Ltd. led the campaign to save the Pavilion, attracting huge numbers of supporters and collecting considerable sums of money. The exhibition was repeated in 1948, in 1950 and finally in 1951, the year of the Festival of Britain, after which it was wound up and its assets were transferred to the Regency Society. 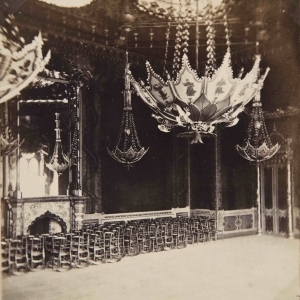 Further annual exhibitions were organised subsequently by Brighton Council under the directorship of Clifford Musgrave and the Pavilion was slowly restored to something approaching its former glory. During the years following the winding up the company the Society continued to support the Pavilion with cash donations and gifts. These latter included items of furniture such as a Regency table with dolphin legs and the Thomas Lawrence portrait of George IV. The total value of the gifts and donations would be the equivalent of more than a quarter of a million pounds in today’s terms. We now live in different times, though some things don’t change. We still hold our annual Antony Dale lecture in the Music Room. There are, thank goodness, no plans today to replace The Pavilion with a casino or a new Town Hall. Much dedicated work has been done by countless experts and others over the years to restore and maintain it – our founders would be delighted to see it today. This has, however, come at enormous cost. The Pavilion finds itself today in a much happier position than in 1945. Keeping the Pavilion in good condition and welcoming millions of visitors every year continues, however, to be a substantial challenge. The Regency Society wishes the Royal Pavilion and Museums every success in this next chapter in its life and looks forward to a more secure financial future for this extraordinary and unique treasure, which has, since it was first built, been a subject of both delight and ridicule, rather like Brighton itself.